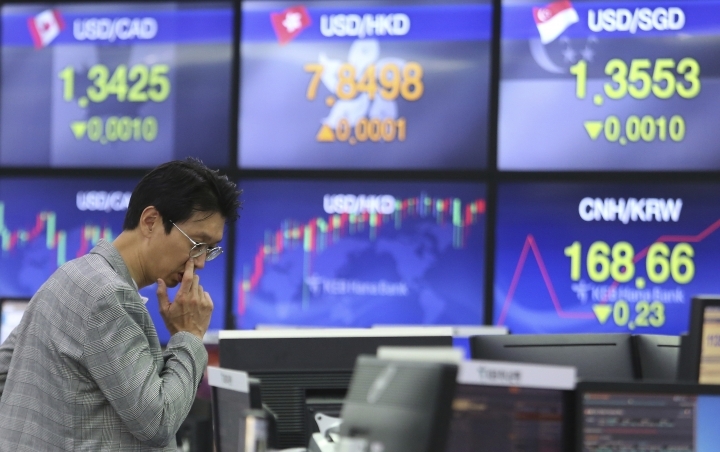 SINGAPORE — World stocks were broadly higher Friday on hopes for progress in the U.S.-Chinese trade talks and as British lawmakers prepared to vote again on a plan to leave the European Union. Mainland Chinese markets led stocks higher in Asia, with the Shanghai Composite jumping 3.2 percent to 3,090.76. Wall Street was poised for a higher open, looking to finish an up-and-down week with consecutive gains. The future contract for the broad S&P 500 index rose 0.4 percent at 2,832. The same measure for the Dow Jones Industrial Average also added 0.4 percent to 25,844. Britain's FTSE 100 gained 0.3 percent to 7,257, while France's CAC 40 rose 0.8 percent to 5,340. The DAX in Germany climbed 0.9 percent to 11,529. Investor sentiment was meanwhile lifted after U.S. Treasury Secretary Steven Mnuchin called the U.S.-China trade talks "constructive" and said in a tweet Friday that he looked forward to continuing the talks in Washington next week. White House economic adviser Larry Kudlow said Thursday that the U.S. administration was prepared to continue trade negotiations with China for weeks or even months. This was taken as a sign of commitment to reaching a deal. "Investors' eyes will be glued to news feeds looking for any more details — rumored or true — emerging from the talks. This could cause some abrupt intra-day volatility across the markets," Jeffrey Halley, a senior market analyst at OANDA said in a market commentary. In Britain, lawmakers will vote again on an agreement for withdrawing from the EU later Friday, the day that Britain was originally scheduled to leave the European Union. It is a trimmed version of the Brexit deal brokered between Prime Minister Theresa May and other European leaders. May had to make the changes because of a ban on sending the original deal, which lawmakers have rejected twice, back for another vote without tweaks. May's government described the upcoming vote as the "last chance to vote for Brexit." May has also agreed to quit if the agreement is approved. An approval by 11 p.m. U.K time (2300GMT, 7 p.m. EDT) would mean Britain has until May 22 to leave the bloc. Conversely, the country has until April 12 to announce a new plan if the agreement is rejected. Or, it could leave without a deal, which would likely cause economic disruption. 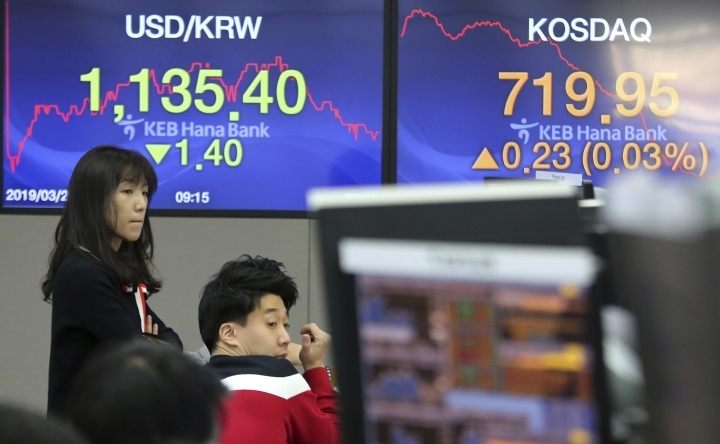 Earlier, in Asia, Hong Kong's Hang Seng jumped 1 percent to 29,051.36 on optimism over the trade talks, and South Korea's Kospi gained 0.6 percent to 2,140.67. 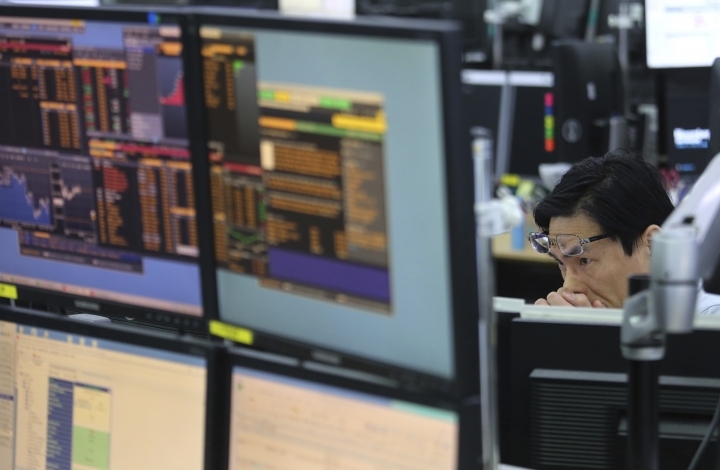 Japan's benchmark Nikkei 225 rose 0.8 percent to 21,205.81. The country's retail sales fell slightly in February from a month earlier, preliminary data showed. But industrial production rose, and its unemployment rate for February beat market expectations. Australia's S&P/ASX 200 edged 0.1 percent higher to 6,180.70. Shares rose in Taiwan and most of Southeast Asia. ENERGY: Benchmark U.S. crude added $1.07 to $60.37 per barrel in electronic trading on the New York Mercantile Exchange. It lost 11 cents to settle at $59.30 per barrel on Thursday. Brent crude, used to price international oils, gained 93 cents to $68.75 per barrel. 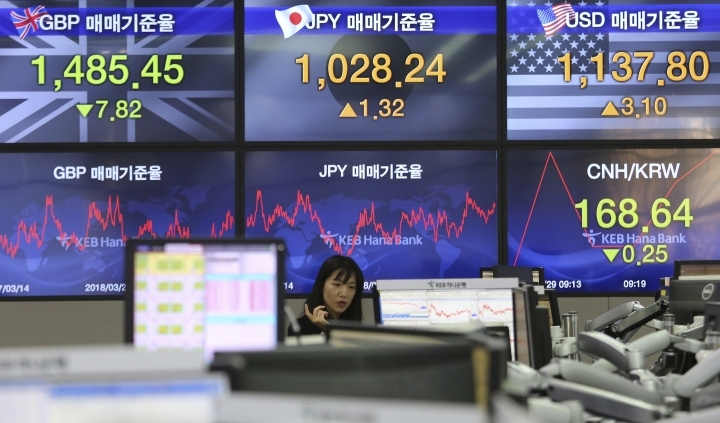 CURRENCIES: The dollar strengthened to 110.75 yen from 110.63 yen. The euro also gained, rising to $1.1233 from $1.1221, and the British pound also rose to $1.3104 from $1.3050.